The roses listed here are those that grow broader than tall. 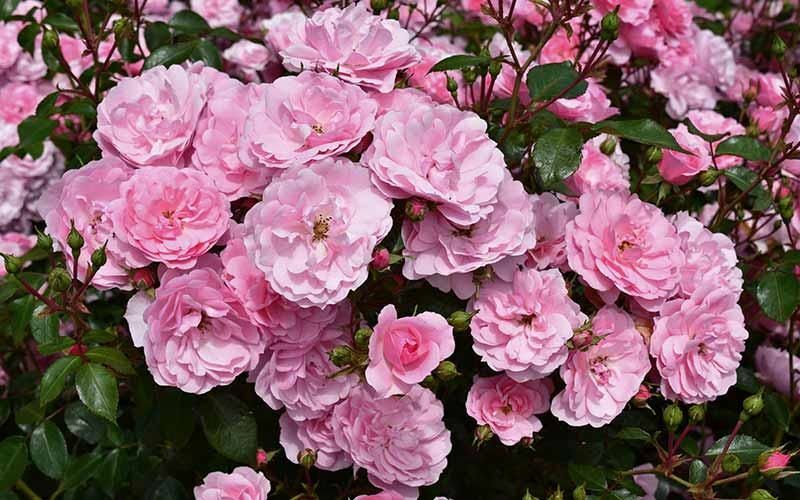 They are classified as ground-cover roses on most other websites. They can fulfill a variety of roles from cascading down banks, filling large beds and under-planting shrubberies. The smaller varieties can be planted to good effect in tubs and old tree stumps or even in hanging baskets. Also, several make good climbing plants for small areas of walls and trellis etc.